I am just going to squeak this post in before Waffle Day 2013 is over! Last year I wrote a post about the history of how Waffles + The Annunciation = Waffle Day. It all seems to be a bit of a word mix-up that Waffle Day ended up being on 25 March, but so it is, and once again, Waffle Day is upon us. Last year’s post included a gluten-free recipe that is very good, and since then, I was introduced to another gluten-free waffle recipe by my mother-in-law. 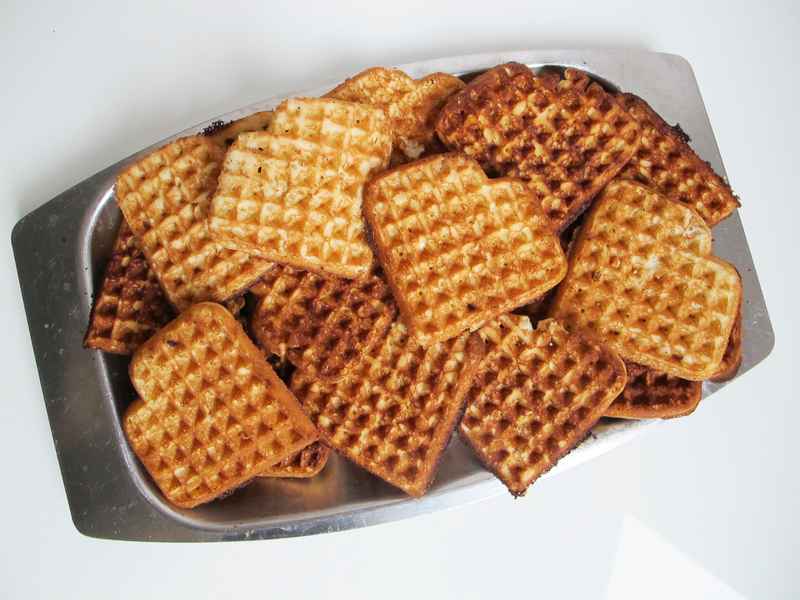 Spettekaksvåfflor are a very interesting cross between a waffle and a cookie. They are sugary, and sweet, with a little tooth to them, but not a crunch. The name spettekaksvåfflor is a reference to the famous Skanian tower cake, spettkaka. If you have tried spettkaka, when you taste these waffles you can understand the reasoning behind the name (based on the texture rather than taste). This recipe is adapted from Vår Kok Bok which is essentially the basic, “go to” Swedish cookbook covering all kinds of classic Swedish dishes. New editions come out on a regular basis and vary slightly. Our household copy is the 1997 edition my husband brought to the U.S. when he moved there for graduate school. It doesn’t include this waffle recipe that was found in my mother-in-law’s 2001 edition. 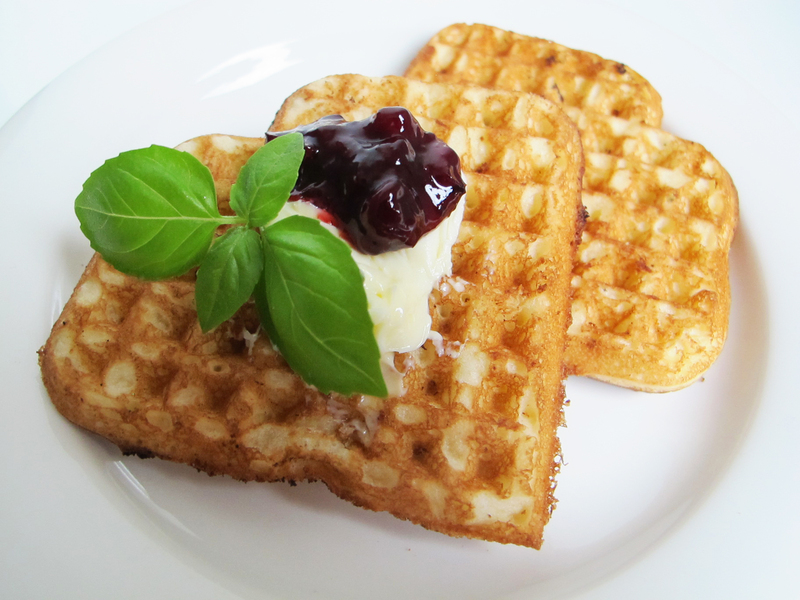 If you are looking for a traditional Swedish waffle, this isn’t it (see this post instead). But if you are looking for something different to try, I can really recommend these. You do need a Swedish waffle iron to make these. I find it difficult to keep all 4 hearts intact when I remove the spettekaksvåfflor from the iron, but it doesn’t really matter since I treat these more like a cookie than a waffle. They are good hot, warm, or cold. My favorite way to eat them is room temperature with a slathering of butter. They freeze quite well and would bring a smile to almost anyone’s face, particularly someone who is gluten-free. Happy Waffle Day! 1. Whisk the eggs and sugar until well blended. Add the flour and whisk until smooth. Slowly add the melted butter, whisking constantly especially if it’s still hot. Finally, stir in the zest if using. 2. Heat the waffle iron and brush it with melted butter. Ladle 1/3-1/2 cup of batter into the iron and cook until golden brown. Serve warm, room temperature, or cold with butter or whipped cream and jam. Leftover waffles can easily be frozen.